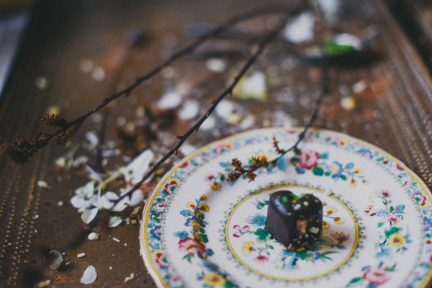 The flâneur is one of the 19th century’s most romantic inventions. With ample time and a bit of cash in his pockets, the flâneur is free to stroll, aimlessly or with purpose, throughout the wide boulevards of the city. This holiday season, Hermès is reviving Baudelaire’s iconic man for the 21st century. 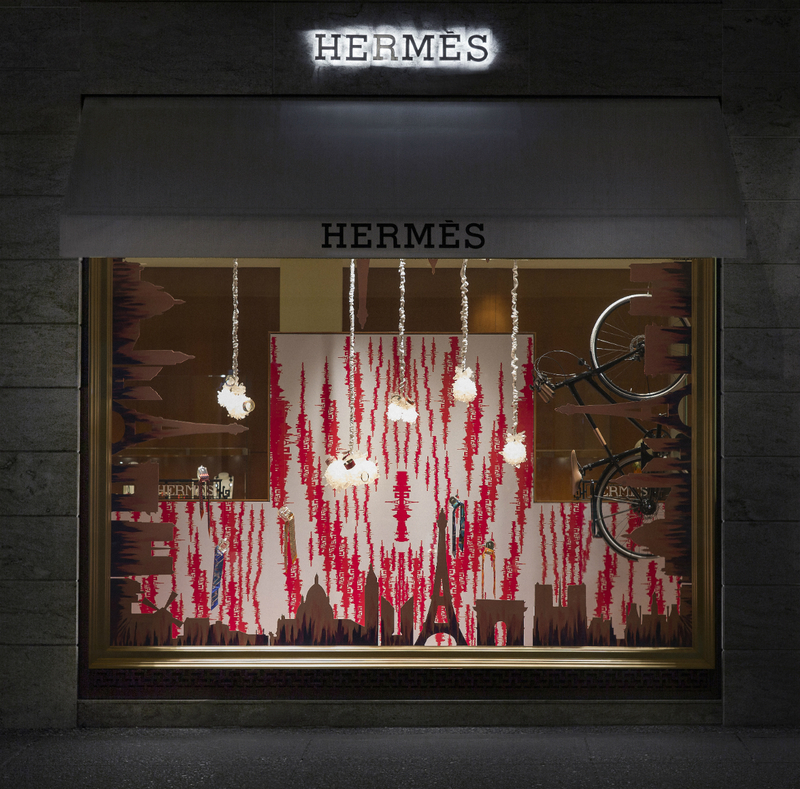 In collaboration with Melbourne-based industrial designer Christopher Boots, Hermès, as part of its Vitrine D’Artiste ongoing series, has installed interpretations of its 2015 theme, Flâneur Forever. 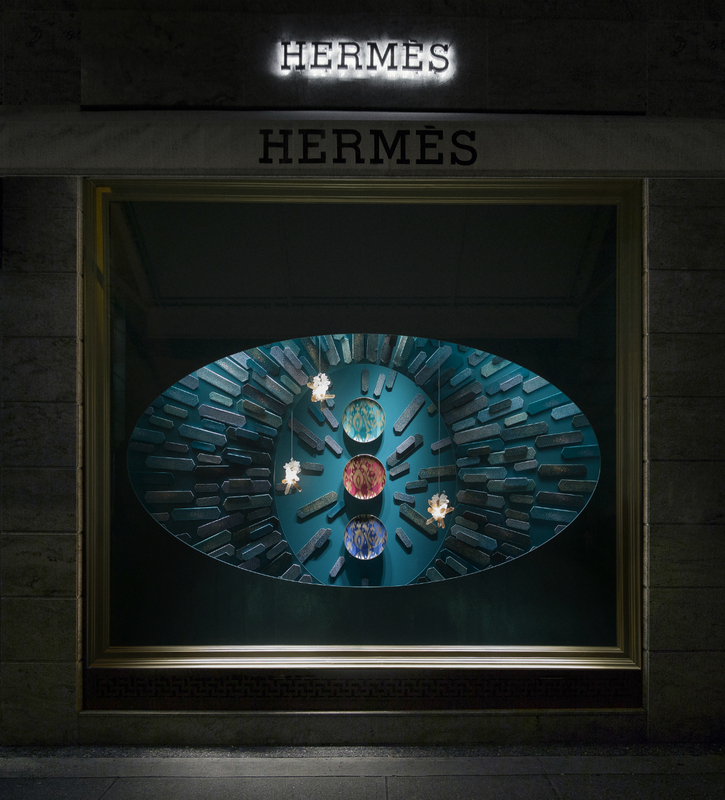 The designer has created three window displays at the Hermès boutique in downtown Vancouver: The Flâneur Past, The Flâneur Present, and The Flâneur Future, each presenting a playful and fanciful riff on the idea. Combining Boots’s signature electric use of material, each display is a nonlinear interpretation of the subject. The Flâneur Past: the origins of the urban jungle explores the original city-slicker, as dark shagreen tiles with porcelain inserts suggest the eye of a reptile. The Flaneur Present: a city life downtown is accessorized with a bicycle, reminding us of the modern urban-dweller. 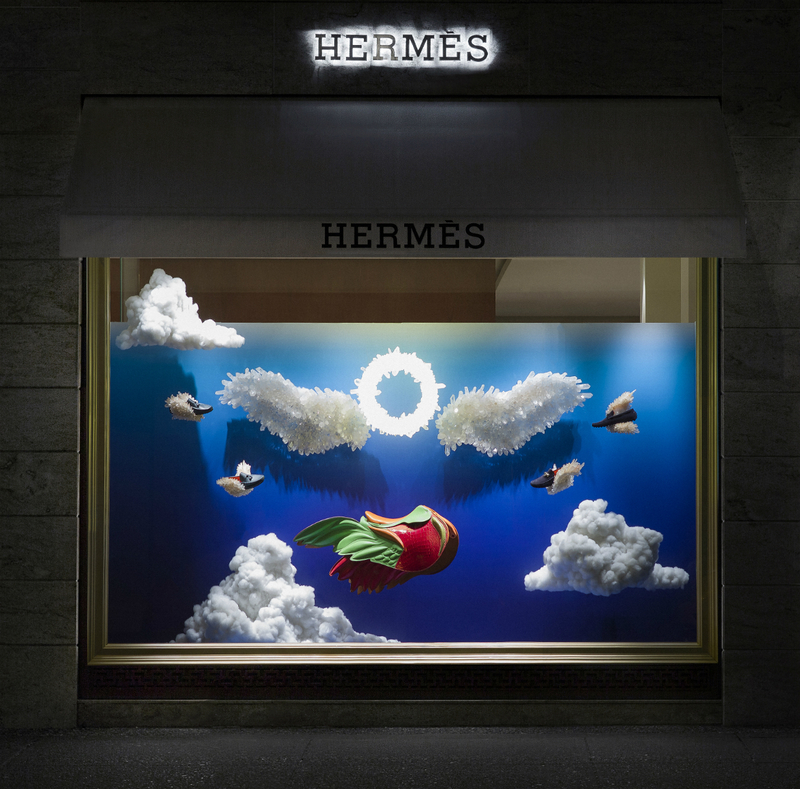 And The Flâneur Future: a care-free wander (wonder) of freedom is a fantasy and cartoon rendering of the iconic Hermès saddle, with wings attached to equip the ultimate drifter. 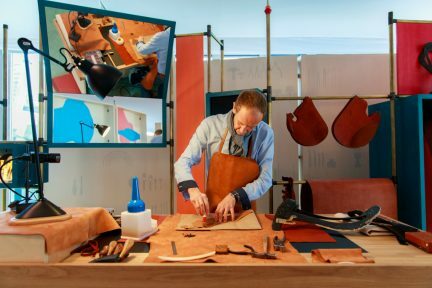 With each glimpse into the past, present, and future, Hermès and Boots have captured moments of wondrous curiosity sure to stop passersby—and then encourage them to keep on walking. 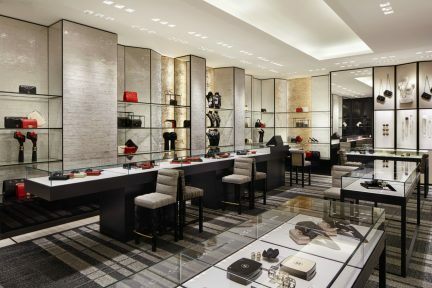 Hermès, 755 Burrard Street, Vancouver, British Columbia, Canada, V6Z 1X6, 604-681-9965.